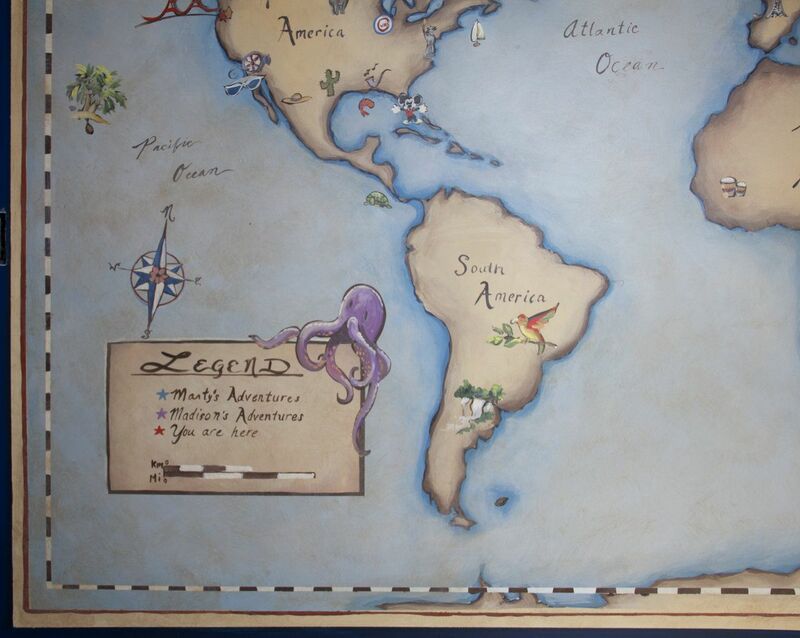 I painted this world map for a 6 year old boy’s bedroom. 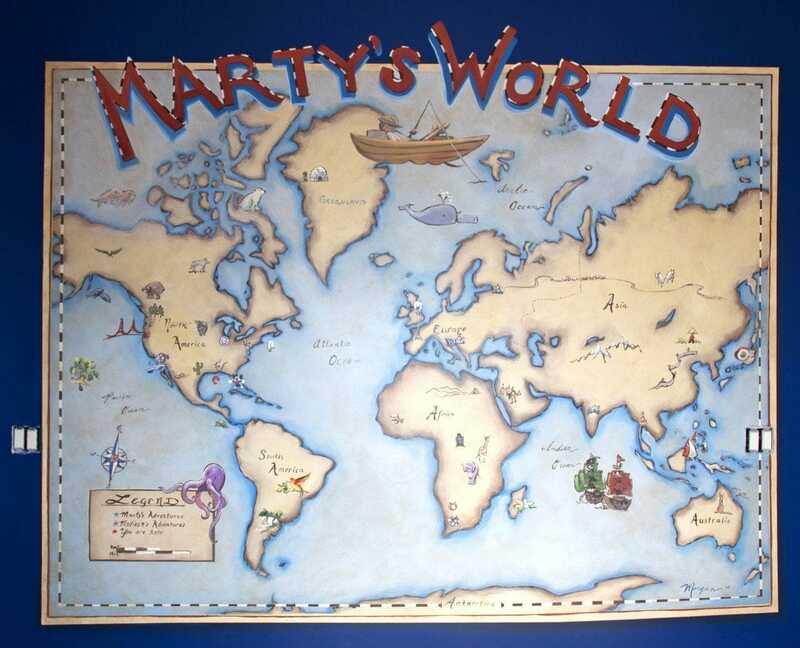 Marty painted the pirate ships! 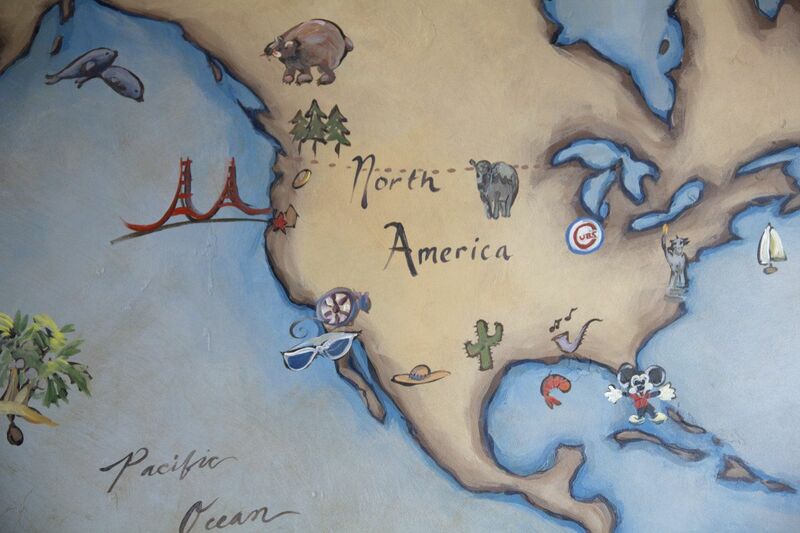 I finished the mural with clear dry erase paint so the map is interactive and educational. Let the adventures begin!